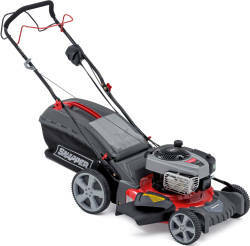 Snapper, a brand owned by Briggs & Stratton Power Products, are the builder of the industry's first self propelled rotary lawn mower back in 1951 and a leader in making garden products that are easy to use and easy to own. Today, Snapper offers one of the widest selections of outdoor power equipment available in Ireland. Their range of robust petrol lawnmowers are well made work horses designed for demanding homeowners and landscapers. The Snapper NX90V is one of our biggest selling lawnmowers. Customers like the strong steel deck and solid build quality that every Snapper is known for. The range of Snapper lawn mowers for sale in Ireland also includes the latest in battery starting technology. 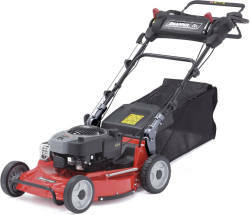 This new engine, available of the Snapper NX90S, eliminates the need for pulling the mower to start it. Our entire range of petrol mowers can be delivered to anywhere in Ireland, call us today for a quote. 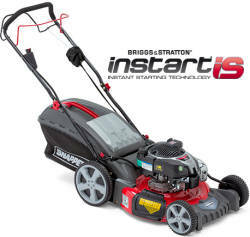 "Snapper - made by Briggs and Stratton "
Snapper Petrol lawnmowers for sale in Northern Ireland from AM Rentals are excellent lawnmowers with great build quality, robust design and great price point. The Snapper range of lawnmowers features inductry leading technology. The feature either strong steel decks or robust aluminium decks. The NX series features hard wearing large rear wheels for enhanced mobility and single lever height adjustment for user convenience. The NX90S and NX90V feature a 70 litre half canvas half hard plastic grass collector with grass full alert inbuilt. The NX90 range of mowers also features Snappers excellent 3 in 1 cutting system that offers the user the ability to mulch, collect or eject through the side. Our complete range of Snapper lawnmowers can be delivered to anywhere in Ireland for just £30 extra - call and order yours today!